National governments are a rarity. The concept originated in the UK around the time of the Second World War as there was a great need for all to get together against a common enemy – the Axis forces led by Adolf Hitler. The concept often has been promoted or spoken about in the democratic world whenever there is a need to work together in the interest of the nation. In Sri Lanka the need for forming a national government had been spoken about many times in the past prior to 2015, the closest possibility being on the aftermath of the 2004 tsunami. However, there was no genuine desire or any practical possibility to form one until the incumbent yahapalana government was formed. Thus, the formation of a national government with the participation of the two main political parties in the country was a rare development, if not a once-in-a-lifetime phenomenon. The immediate reason behind it, was to achieve certain national objectives which are impossible for one political party to achieve without the active support of the other. The main objectives included abolition of the eighteenth amendment to the Constitution and reversing dictatorial trends through several independent commissions; introduction of good governance and re-establishment of the Rule of Law; improved diplomatic and trade relations with the western countries; reaching consensus on vital economic reforms; effective dealing with the UNHRC on allegations of human rights abuse; national reconciliation and resolution of the northern problem through constitutional means; investigating into allegations of large scale corruption; creating a proper environment for attracting foreign direct investment; and electoral reforms. While there is progress in some of these areas the government has miserably failed in several other areas, particularly in resolving the northern issue, fighting corruption and attracting foreign investments. Of all these there are two vital issues, the resolution of which needs nothing but a national government –northern issue and fighting corruption. On the issue of corruption the biggest drawback is the central bank bond scam which happened under the auspices of the very government that came into power with an electoral promise to curb all corruption and to catch and punish those from the previous administration who were accused of large scale corruption. However, on the positive side is the air of newly ushered freedom and transparency which enabled opposition members of the parliament to campaign and force the government to appoint a presidential commission to look into the alleged scandal. Also, on the negative side is the inability of this government even to expose or prosecute anybody from the previous government for complicity in any acts of corruption or undue enrichment. On the contrary, there have been allegations of willful delay in proceeding with such prosecutions making a mockery of some of the basic tenets on which this yahapalana government was set up. Some of these allegations may not be easily provable; yet, the real issue is that there doesn’t seem to be any genuine effort by those in control of the government to go ahead with such prosecutions irrespective of whatever the final outcome is going to be. No country has succeeded in bringing down corruption to zero level. What is needed is a system of justice, fair play and transparency where any acts of corruption gets exposed and perpetrators brought before the law so that it would become the strongest deterrent against anyone who is likely to get involved in corruption in the future. The government has so far failed to create such an environment and on the contrary, by its own inaction, has created a situation where people will take it for granted that political corruption will never be exposed in this country. There cannot be a better encouragement than this for politicians who want to make money by wrongful means to proceed. On the most important issue of resolving the long standing issue of the Tamils of the north there was much expectation at the time the joint government of the UNP and the SLFP was set up. That is because it’s well-known that throughout the history, whenever a government was genuinely interested in finding a constitutional solution to this issue the main opposition party has never co-operated. Whenever the UNP wanted to resolve the issue, the SLFP opposed and scuttled it and similarly, whenever an SLFP government took steps to resolve it, the UNP scuttled it. This was the fate of Bandaranaike- Chevanayakam Pact as well as Dudley- Chelvanayakam Pact, two genuine efforts to resolve the issue in the past. That is the background which gave rise to the thinking that only a national government consisting of both these parties that could one day resolve this problem. Thus, when the national government was formed there was much expectation in this regard among the minorities that supported it. Despite appointment of a parliamentary steering committee and holding of a series of public discussions and preparation of several reports based on the views of a fair cross section of the public and the professionals, much progress is yet to be achieved. The main reason is lack of consensus between the two parties on the nature of the constitution they want to evolve and rather unfortunately the abolition of the executive presidency, a main promise on their electoral platform, has been one such area of contention. The resolution of the age-old northern issue by itself is a difficult task because of the historical fears of the Sinhala community about separatism and some of the unreasonable demands made by the extremists in the north. 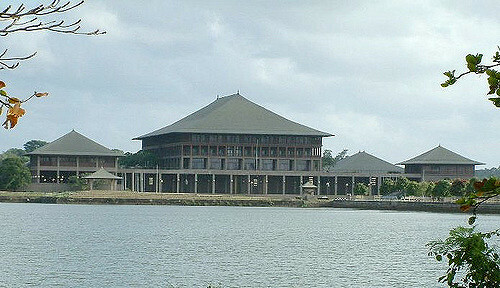 Apart from their traditional opposition to devolution of power the bitter memories of the LTTE’s terrorism also makes it more difficult for the government to get the approval of the Sinhala majority for a constitutional solution to the northern issue. While these traditional difficulties are quite understandable, the strangest development is the inability of the two parties to agree on the constitutional package. So, it is fundamentally important for the two main partners of the government to have some internal consensus between them on these proposals in order to place them before the people. If the executive presidency is the issue they should leave it aside and at least agree on the possible devolution package under a presidential system. Presidency should not stand in the way of a solution to the northern issue because the Tamils have never asked for the abolition of the executive presidency. It is sensible to complete what is doable during the tenure of the unity government rather than wasting time arguing on the impossible. Meantime there are some developments within the government, particularly within the UNP that will have a direct bearing on these issues. 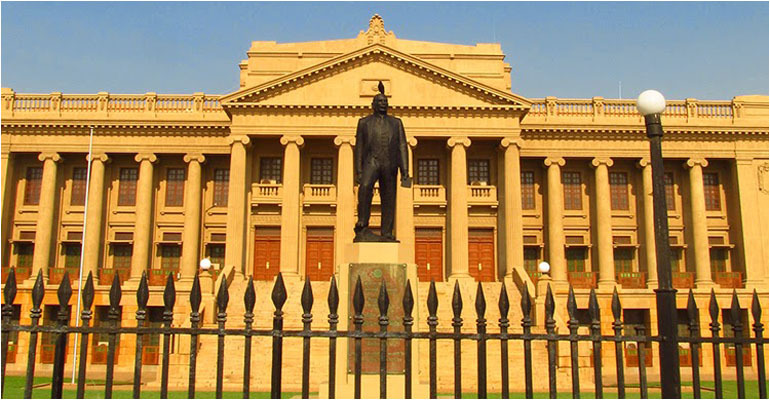 The current wave of political action mostly spearheaded by the young backbenchers of the UNP who have been disgusted over things like lack of direction, slowness in corruption investigations seem to be bearing fruit. Some of the effects of this have been resignation of Foreign Minister Ravi Karunanayake and the moves being taken against Justice Minister Wijedasa Rajapaksa in the UNP working committee. 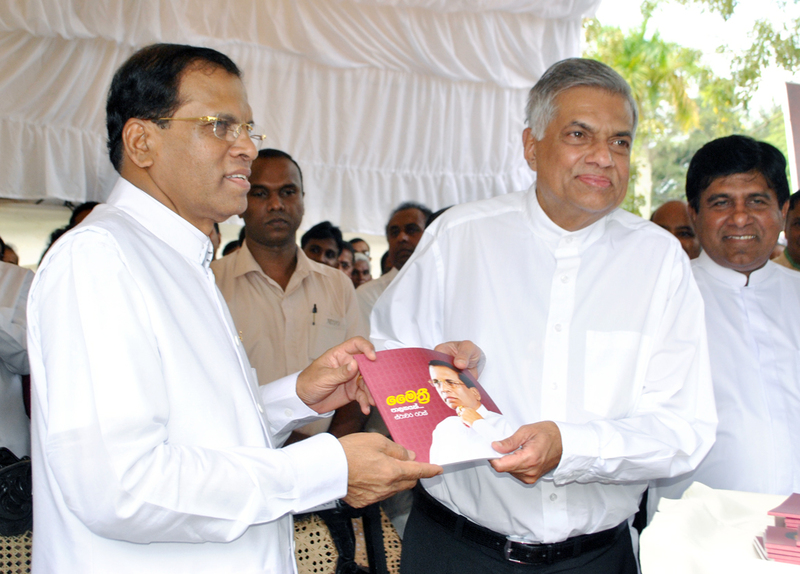 On some of these critical issues this group has been having a simultaneous dialogue with both Prime Minister Ranil Wickremesinghe and President Maithripala Sirisena and they seem to have the capacity and the will to change the future course of the government. Even at the party level democracy seems to be prevailing and these are healthy developments that can put the government on the correct track. At the same time, with the strong possibility of holding either provincial or local government election early next year the government seems to be getting ready to face people. The strongest signal in this direction came from the duty reduction on motor cycles and single cabs and use of mobile telephone data. As such the possibility is for election priorities to take centre stage of politics in the next few months. It will also provide the opportunity for the unity government to realign itself and test their popularity among people. Despite much friction and occasional disagreements, it is unlikely that the two parties in the government will fall apart and they should remember that their historic responsibility as a national government is to renew their MOU and finish the primary task of the national government before the expiry of their term. Among them stands the resolution of the national issue, a responsibility from which the only national government ever to be formed in the country cannot and should not shirk. It's now or never!If the national unity government failed to resolve the national issue for good, the spectre of a national conflict would haunt the successive governments for another 70 years!